On Dec. 15, thousands of wreaths will be placed at Barrancas National Cemetery. Join the Kiwanis Club of Big Lagoon in sponsoring a wreath to be placed in honor or in the memory of a veteran or loved one. The wreath order deadline is today, Nov. 30, to insure on-time delivery and freshness of the wreaths. To order a wreath go to https://www.barrancaswreaths.com. Today is also the last day for active-duty military to pick up their vouchers for Trees For Troops; go to the MWR Admin Office, Bldg. 4143, by 4 p.m. For more information call 452-3806. When it comes to fitness competitions between the branches of service, the Navy always aims to win. In one such event named the Alpha Warrior Final Battle, CTT1 Mikala Hawkins showed the other branches what competition and determination really are at Retama Park in Selma, Texas, Nov. 17. Hawkins, a native of Saint Louis, Miss., and an instructor for Cryptologic Technician (Technical) “C” school at Information Warfare Training Command (IWTC) NAS Pensacola Corry Station, was asked to compete in the first ever inter-service competition with Airmen, Soldiers and Sailors just one week before it began. “I was just at the gym for my normal workout and one of the staff members approached me and said that I would be a great fit for this and asked if they could sign me up,” Hawkins said. “I gave them my information and one week later I was on my way.” She arrived in Texas to meet the rest of her six-person team and to get a preliminary look at the course, Nov. 16. Sailors and soldiers from NAS Pensacola Corry Station participated in a rescheduled Veterans Day celebration at Southern Oaks Care Center, Nov. 15. Staff and students from Information Warfare Training Command (IWTC) Corry Station and Delta Company, 344th Military Intelligence Battalion joined more than 25 veterans currently residing at the center in a ceremony recognizing their military service. Holiday Celebration Planned for Veterans Memorial Park Dec. 15 at 3:30 p.m. .... A special ceremony is planned in observance of the holidays at Veterans Memorial Park in Pensacola beginning at 3:30 p.m. Dec. 15. Major Gen. Richard Secord, the former deputy assistant secretary of defense for international security affairs, will be the guest speaker and will share his thoughts about military service during the holidays. Christmas music will be featured as well as the a capella singers caroling from First Baptist Church. A Christmas tree will be placed at the apex of The Wall South and the lighting of the tree will take place just after sunset. Wreaths Across America will lay wreaths at the base of the Wall South. Families are also encouraged to bring lawn chairs or blankets to spread out on the grass while enjoying the music and festivities. Participants at the event will be able to order bricks for the Walk of Honor. The Walk of Honor is a project designed to allow family and friends to place bricks at Veterans Memorial Park with custom messages to honor the service and sacrifice of our military personnel and veterans. For more information, go to https://veteransmemorialparkpensacola.com. Brig. Gen. Mark. E. Black, 350th CACOM commander (left) ceremoniously receives the 350th colors from Maj. Gen. Darrell J. Guthrie, U.S. Army Civil Affairs and Psychological Operations commander, during an change-of-command ceremony held at NAS Pensacola Nov. 17.
persevered and completed the rest of the trials. “I think the camaraderie was pretty awesome between the Navy and Army,” Hawkins added. “When I got injured, there was this Army woman behind me and she saw that I was panicking and about to give up because the pain was so bad. However, she wouldn’t leave me behind, and she literally pushed me to finish the course and she finished with me. It was just amazing.” IWTC Corry Station, as part of the Center for Information Warfare Training, provides a continuum of training to Navy and joint service personnel that prepares them to conduct information warfare (IW) across the full spectrum of military operations. With four schoolhouse commands, two detachments, and training sites throughout the United States and Japan, CIWT is recognized as Naval Education and Training Command’s top learning for the past two years. Training more than 21,000 students every year, CIWT delivers trained information warfare professionals to the Navy and joint services. CIWT also offers more than 200 courses for cryptologic technicians, intelligence specialists, information systems technicians, electronics technicians, and officers in the information warfare community. For more news from Center for Information Warfare Training enterprise, visit www.navy.mil/local/cid, www.netc.navy.mil/centers/ciwt, www.facebook. com/NavyCIWT or www. twitter.com/NavyCIWT. Non-essential personnel and families from the installation and its tenant commands were authorized to evacuate ahead of the hurricane’s arrival Oct. 10. When an authorized evacuation is in place with a specified safe haven location and distance, personnel and their families may receive assistance to cover the expenses that they face, such as hotel, gas and food. When it is safe to return, they must file travel claims. “We are grateful for the support that NETC headquarters has been giving and continues to provide,” said Capt. Robert Porter, CEODD’s commanding officer. “Until you experience something like this, it’s hard to grasp the emotional and in some cases financial toll that people experience when dealing with a significant hurricane and its aftermath. Making sure our people and their families are being taken care of is our first priority as we work toward getting back to one hundred percent operational.” The NETC administrative and travel experts assisted more than 200 staff and family members from CEODD and Naval Diving and Salvage Training Center (NDSTC) with questions and the travel claim process. From setting up Defense Travel System (DTS) profiles to teaching how to create DTS authorizations and vouchers, the staff ensured that claims were processed correctly. deliver their certificates and thank them for their service. Following the ceremony, the group spent time socializing with the veterans and listening to stories of their time in the military. Information Warfare Training Command Corry Station, as part of the Center for Information Warfare Training, provides a continuum of training to Navy and joint service personnel that prepares them to conduct information warfare across the full spectrum of military operations. For more news from Center for Information Warfare Training, visit www.navy.mil/local/cid, www.netc.navy.mil/centers/ciwt, www.facebook.com/NavyCIWT or www.twitter.com/NavyCIWT. did not complain ... Each of you bring hope and light to the world.” Incoming commander Black thanked the city of Pensacola for the continued relationship with the Army’s civil affairs mission as well as the Soldiers of the 350th CACOM. “The Army has maintained a civil affairs presence in Pensacola for six decades; these units have maintained a great relationship with the city and I look forward to continue strengthening the bonds with this great city,” Black said. “I am very humble, because it is a great privilege and distinct honor to lead a command in today’s Army ... to the Soldiers, officers and families of the 350th, I am very proud to once again join this amazing team.” Coggin’s next assignment will be to serve as the Deputy Commanding General for the U.S. Army Civil Affairs and Psychological Operations Command in Fort Bragg, N.C.
and complete various data calls on time. Staff also assisted with resolving timekeeping and pay issues that new employees were experiencing. At the schoolhouse, most staff members have returned to work. While classes at NDSTC were either cancelled or alternative arrangements made for training, the staff expects to fully resume training in Panama City in January. For more on NETC, visit the NETC website at www.public.navy.mil/netc or www. navy.mil/local/cnet and follow on Facebook at www.facebook.com/netcpao. he day after my honeymoon 25 years ago, I moved into my Navy husband’s apartment in Alexandria, Va. He carted me around to get a military ID, submit TRICARE forms and obtain base pass stickers for my car, so I’d be an official, card-carrying military spouse. Then he went to work, leaving me home ... alone. I checked the kitchen for something to eat. The cupboards contained a plastic barrel of pretzels, a half loaf of white bread and an expired box of Shake’N Bake left there by his old girlfriend. In the fridge, I found baloney, a gallon of milk, a bag of onions and a bottle of ketchup. “I’d better go shopping,” I thought. Rather than pay seven bucks a pound for ground beef at a D.C. store, I hopped in the car and braved the tangle of highways to get our rightful discounts at the base commissary. free samples. A place where I didn’t have to worry about discount cards or environmentally-friendly plastic bag bans. A place that came to feel like home. Nowadays, my minivan shows up at the Naval Station Newport commissary at least once a week. No matter how long my shopping list, I grab one of the small carts that is easier to maneuver. I head for the produce section, pausing briefly at the sushi counter to check for my favorite crunchy rolls. Some days, the commissary is well-stocked. Other days? Not so much. But I’m accustomed to making due. No bok choy? I’ll just use cabbage. No vodka sauce? Marinara’ll do. By the time I reach the deli, my cart is overflowing. I order smoked turkey, making sure to get the coupon. I chat with a friend before heading to the check out. The cashier makes me laugh, something about his dog, and the bagger makes the obligatory comments about the weather. I tip her generously. On the way home, I relish the familiar routine that has kept me grounded as a Navy wife for 25 years, and I wolf down a hunk of crunchy roll. My favorite. n average, 115 Americans die from an opioid overdose each day in the United States, according to the Centers for Disease Control and Prevention. The country has been grappling with a worsening drug epidemic for decades. In 2016, the number of overdose deaths involving opioids was five times higher than in 1999, for example. From 1999 to 2016, more than 630,000 people died from drug overdoses nationwide, including in communities where Navy personnel live and operate. Many of those drugs come from overseas. According to the United Nations, nearly 80 percent of the world’s heroin is exported from Afghanistan. The majority is transported to the coast of Pakistan and then loaded onto maritime vessels, destined for East African countries and, eventually, the United States. The Bahrain-based Naval Criminal Investigative Service (NCIS) Transnational Crime Unit, or TCU, is helping with the counternarcotics fight in the waters of the Middle East by deploying special agents aboard multinational Combined Task Force 150 (CTF-150) warships during maritime security operations in the Arabian Sea and Indian Ocean. This team of highly skilled special agents patrols the high seas aboard ships from the United States, France, New Zealand, Australia, Canada and the United Kingdom. Agents, who spend up to 90 days at sea at a time, provide law enforcement expertise and collect intelligence during interdictions of illicit narcotics aboard suspicious vessels found in areas known for drug trafficking operations. They have participated in the seizure of nearly 10,000 kilograms of heroin and 30,000 kilograms of hashish over the past five years. During that period, seizure totals have also grown significantly, from 755 kilograms of heroin and 5,588 kilograms of hashish in 2014 to 2,647 and 32,987 kilograms, respectively, in 2018.
ons, and tactical questioning. The TCU also recently met with regional directors responsible for the Indian Ocean and Afghanistan from the United Kingdom’s National Crime Agency. They addressed strategies for combating transnational organized crime in those regions. “From 2009 until 2015 or so, we pretty much focused on collecting intelligence and destroying the illicit narcotics we seized. Now, in the last couple years, we’ve really taken the focus more toward prosecuting these individuals,” Devinny said. “What we’re trying to do now is work with the United States Attorney’s Office or work with other countries in the region to prosecute them, although that process takes time because of the complex law enforcement and legal partnerships that must be solidified first. We plan to work hand-in-hand with countries throughout the entire process, to the point where these criminals are brought to court for trial.” The Middle East Field Office also has access to a warehouse maintained by the U.S. Coast Guard that features a popular, traditional Indian Ocean sailing vessel that NCIS special agents and partners can use to simulate maritime security operations for training purposes. “It’s critically important that we work with our foreign partners,” Traver said. “Without their support, without their partnership, it would be virtually impossible for us to have the success that we’ve been able to attain over the last several years. It’s a tremendous benefit not only to the United States and NCIS, but also our foreign partners.” For more, visit https://www.youtube.com/ watch?v=8vnTucIgyM8. on travelling. “Service members often travel significant distances during the holiday season, and ensuring they are reminded of the various driving safety issues they face is one of our chief concerns,” Winters said. Highlighting the safety stand down was a nearly hour-long interactive presentation from Street Smart, Stay Alive From Education (S.A.F.E.). The program centered around distracted driving, seatbelt use and driving under the influence. The S.A.F.E. Street Smart presentation is interactively designed to assist Sailors and Marines in making smart choices concerning driving safety. Program facilitators, Tampa Bay, Fla., emergency medical technicians, demonstrated the consequences of making bad driving choices from their firsthand observations. According to the National Highway Traffic Safety Administration (NHTSA), Thanksgiving, Christmas and New Year’s represent some of the most dangerous days for travelers, with the three-day average around each of those holidays around 250 accidents. While not part of the program, NAS Pensacola’s Safety Office representatives also stressed other safety issues of which individuals should be aware during the holiday season: Fire Safety: According to the National Fire Protection Association, electrical distribution or lighting equipment contributed to two out of every five home Christmas tree fires; more than one-third of home Christmas tree fires started in the living room, family room, or den; and all of the fatalities and roughly three-quarters of the injuries resulted from fires started in those area. Holiday decorating: • Be careful with decorations. Choose decorations that are flame resistant or flame retardant. • Keep lit candles away from decorations and other things that can burn. • Some lights are only for indoor or outdoor use, but not both. • Replace any string of lights with worn or broken cords or loose bulb connections. Read manufacturer’s instructions for number of light strands to connect. • Use clips, not nails, to hang lights so the cords do not get damaged. • Keep decorations away from windows and doors. NAS Pensacola Commanding Officer Capt. Chris Martin said that service members, civilian employees and their families – whether from NAS Pensacola or at any of the commands onboard the air station – are encouraged to evaluate their plans during the holiday season. “We’re all excited to enjoy time with family and friends, but making sure we all keep safety issues and potential mishaps as part of our plan makes sure we’re all back here after the holiday season,” he said. “We want the Sailors, Soldiers, Airmen, Marines and Coastguardsmen here to be safe, take care of their shipmates and continue providing support to the finest training facilities in the Navy.” NAS Pensacola, referred to as the “Cradle of Naval Aviation,” is designed to support operational and training missions of tenant commands, including Naval Aviation Schools Command (NASC), the Center for Naval Aviation Technical Training (CNATT), Marine Aviation Training Support Groups (MATSG) 21 and 23 and is the headquarters for Naval Education and Training Command (NETC). AC1 Christopher Reinhard trains AC3 Omer Dubose on helicopter movements and radio frequencies for the NAS Whiting Field South Tower. and data. For Simpson, it’s a sense of accomplishment to develop the new controllers and see them progress – to see the moment when it ‘clicks,’ and one day they come in and they get it. She stated that Whiting can be a very difficult place to get qualified with the airspace so close together, and the types of aircraft and their requirements being so different. AC3 Omer Dubose has been in South Tower for two years, progressing through ground, radar, radar supervisor and is now training on the South Local, or what pilots refer to as ‘Tower.’ Dubose’s supervisor, AC1 Michael Hein, stated that Dubose is incredibly dedicated and quick with systems, and was recently selected as Blue Jacket of the Year for NAS Whiting Field. Dubose was asked what advice he would give to new trainees coming through the tower. “Study,” he said. “If you think you are doing enough, you’re not. The most important thing is to be clear, concise, and to stay calm. If they copy down the wrong information you just have to correct it.” Although this is something he said he struggled with in the beginning of training, he said he is starting to warm up to enjoying the busy days. “Most trainers give you a pretty short leash (at the beginning) before they key up on you to correct something,” Dubose said. “But as you get better, they do it less and less, and always go over what you did and instruct you on how to fix it which makes you better.” What he said he enjoys the most is, once he got qualified on radar, working instrument approaches such as approach surveillance radar (ASR) and precision approach radar (PAR). “When you can turn a guy one turn to final, it’s such a good feeling,” Dubose said. The Navywide advancement exam for E-7 will be available at these times and locations, according to command: • For NATTC: Dec. 3 and Dec.4 from 8 a.m. to 3 p.m., NATTC Rm. 1129 • For Naval Hospital Pensacola: Dec. 5 and 6 from 8 a.m. to 3 p.m., NHP sixth floor, Manpower Conference room • All other commands: Dec. 3 through 14 from 7:45 a.m. to 3:30 p.m., PSD Pensacola Bldg. 680, Rm. 131 ESO For more information, contact PSD Pensacola at 452-3117. Interested in taking the Defense Language Aptitude Battery (DLAB) or the Defense Language Proficiency Test (DLPT) for foreign languages? Tests are administered Wednesdays at the Navy Language Testing Office Bldg. 634. The test is open to Navy, Army, Air Force, Marine, Coast Guard and DoD personnel. Test appointments are accepted through https:// www.mnp.navy.mil/group/information-warfaretraining/n-dfltp. The Gulf Coast Navy Nurse Corps Association (GCNNCA) will have their quarterly and also Christmas luncheon Dec. 7, from noon to 2 p.m. at the Jackson’s Steak House located at 400 South Palafox (in the Governors Room). All active-duty Navy nurses, former Navy nurses, reserve, reserve retired or retired Navy nurses are cordially invited to attend. You do not need to be a chapter member, however GCNNCA hopes you would consider joining the chapter. Remember to bring a new unwrapped toy(s) for the Toys for Tots project and also a gift for the Christmas gift exchange (amount $20) which is optional. Mischievous Santa may show up during the gift exchange. Our scheduled guest speaker is the Commanding Officer of the Naval Hospital Pensacola Capt. Amy Branstetter. Spouses and interested others are always welcome. RSVP no later than Dec. 5 to Vicki Coyle at vcoyle@gulftel.com or leave a message at (251) 9426382 to ensure appropriate seating. Should you have any questions, call Vicki for clarification. The spirit of Christmas Foundation will be giving away fresh-cut trees to active-duty military during the Holiday Tree Lighting event tomorrow, Dec. 1 from 3 p.m. to 5 p.m. at the Mustin Beach Club. Vouchers for the trees are available at the MWR Admin Office in Bldg. 4143 and Tickets and Travel at the NEX Mall, Bldg. 3787. Show your active-duty or spouse ID to pick up a voucher. Vouchers must be picked up no later than today, Nov. 30 by 4 p.m. All unclaimed trees will be given away to any active-duty military after 5:30 p.m. For more information, call 452-3806. A special ceremony is planned in observance of the holidays at Veterans Memorial Park in Pensacola beginning at 3:30 p.m., Dec. 15. Christmas music will be featured as well as the a capella singers caroling from First Baptist Church. A Christmas tree will be placed at the apex of The Wall South and the lighting of the tree will take place just after sunset. Wreaths Across America will lay wreaths at the base of the panels of the Wall South. There will be a donation box set up for Toys For Tots, so families are encouraged to bring an unwrapped toy to share with a girl or boy. Participants at the event will be able to order bricks for the Walk of Honor during the celebration. The Walk of Honor is a project designed to allow family and friends to place bricks at Veterans Memorial Park with custom messages to honor the service and sacrifice of our military personnel and veterans. The holiday celebration will take place at Veterans Memorial Park, located adjacent to Pensacola Bay at the corner of East Romana Street and Bayfront Parkway. For more about the Veterans Memorial Park, visit the web page at www.veteransmemorialparkpensacola.com. face painting and more. This event is free. For more information, call 4523806. Share a holiday breakfast at the Holiday Breakfast Express with Santa and friends Dec. 8 at the Oaks Restaurant. Seating times are 8 a.m., 9 a.m. and 10 a.m. Each seating is limited to 85 people. You must attend the seating time on your ticket. After breakfast, check out Santas’s Workshop, entrance fee included with your ticket. The price of tickets is $3 per person, with children under age 1 free. Tickets can be purchased at the Oaks Restaurant and the A.C. Read Golf Club. This event is open to all DoD ID card holders and their families. For more information, call 452-3859 or 452-2454. The National Naval Aviation Museum (NNAM) will present “The Polar Express” Pajama Party at 3 p.m. every Saturday and Sunday on the Giant Screen Theater now until Dec. 23. Children are encouraged to wear their pajamas for the magical journey to the North Pole to find the true spirit of Christmas. Tickets prices are $7 per person. Infants ages 1 and under are free and do not require a ticket purchase. Arrive early and purchase tickets in person at the museum ticket counter. Advanced tickets are available in person at the Giant Screen Theater ticket counter. Admission into NNAM is free and open to the public. The museum is open daily from 9 a.m. to 5 p.m. For more information, visit www.NavalAviationMuseum.org. The Pensacola Humane Society will be hosting a Santa Paws photo booth Dec. 6 from 6 p.m. to 9 p.m. Get in the holiday spirit with spirits and your best furry friend. Bring your pooch to 500 East Heinberg Street, then jump in line to get your dog’s picture with Santa Claus. The photographer will take photos with your camera. It is free to attend; donations are welcomed. Pensacola Humane Society and Gulf Coast Brewery team up to bring you Pensacola’s newest favorite holiday tradition. It’s a community get-together for a great cause. The Pensacola Humane Society is located at 5 North Q Street and is celebrating its 75th anniversary this year. The Sinfonia Gulf Coast Youth Orchestra will perform at their fall concert Dec. 9 at 3 p.m. at the Grace Lutheran Church Destin. The Sinfonia Youth Orchestra program is the premier training orchestra in Northwest Florida and consists of more than 50 students who participate in a variety of ensembles that perform throughout the school year in one of two ensembles: The Sinfonietta Strings and the Sinfonia Youth Orchestra. The fall concert will feature both ensembles performing traditional classical as well as everyone’s favorite holiday selections. Attendance is free and open to the public. For more information, call the Sinfonia Gulf Coast at 4608800. Jazz Pensacola invites the greater Pensacola community to its festive Jingle Jazz 6:30 p.m. to 9 p.m., Dec. 10 at Phineas Phogg’s, Seville Quarter, 130 E. Government Street. Joe Occhipinti’s Jazzabouts and guest vocalists are presenting a show of jazzy holiday classics. So, put on your festive fashions and wear your smiles for a cheerful evening out. Drinks and dinner available. Jingle Jazz is free, but we happily accept donations. Also, join Jazz Pensacola in assisting an area food bank. We are collecting nonperishable foods – cans of vegetables and fruit, rice, pasta, cereal, cookie mixes, candy canes, etc. For membership and information, call 433-8382, or visit www.jazzpensacola.com. This Christmas season, a local theatre company honors Pensacola veterans with an original musical. Today and tomorrow, Nov. 30 and Dec. 1, Shining Light Players presents To This End of Heaven, a musical set in Pensacola during World War II. The performance will be at the Rex Theatre on Palafox Street and will feature eleven original songs in the big band style. Thirty volunteers from the community will share a message of hope and will honor the men and women who fight for our freedom. Tickets are $25, $15 for students and senior citizens, half price for military and their immediate families and free for World War II veterans, their spouses and children born before 1946. All ticket options are available for purchase at www.shininglightplayers. com. Could you be our next cover bride? Weâ&#x20AC;&#x2122;re looking for the perfect Pensacola bride for the cover of Pensacola Magazine: Weddings 2019. 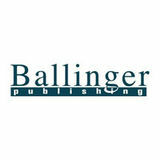 Submit up to three of your individual wedding photos (high resolution please) to Kelly@ballingerpublishing.com, and you could be featured on the cover of the February 2019 issue. Editorial-style shots by your professional photographer are preferred. Please include the names of the bride, groom and photographer. For more information, visit www.pensacolamagazine.com. Submissions due by January 21, 2019. Sailors in a motor launch rescue a survivor from the water alongside the sunken USS West Virginia (BB 48) during or shortly after the Japanese air attack on Pearl Harbor. Note the extensive distortion of West Virginia’s lower amidships structure, caused by torpedoes that exploded below that location. comodation might have been considered. However, the memory of the “sneak attack” on Pearl Harbor fueled a determination to fight. Once the Battle of Midway in early June 1942 had eliminated much of Japan’s striking power, that same memory stoked a relentless war to reverse its conquests and remove its German and Italian allies as future threats to world peace. of the command include the Voluntary Education Department, the Navy Advancement Center and the Resources Management Department. Additional information about the Naval Education and Training Professional Development Center can be found via https:// www.netc.navy.mil/netc/netpdc/Default.htm. For more news from Naval Education and Training Professional Development Center, visit www.navy.mil/ local/NETPDTC. Pensacola Beach will have a host of events going on to celebrate the holiday season, including parades, fireworks and more. tators make their way to Pensacola Beach on Sunday to see Santa Claus making his way down Via De Luna Drive atop a Pensacola Beach fire truck at the annual Surfing Santa Beach Parade. For those wanting to participate in the Surfing Santa Beach Parade, the deadline to register is Nov. 27 at 5 p.m. and the entry fee is $50. •New Year’s Eve Firework Display ­– Jan. 1, at midnight: Keep your eyes focused on the Pensacola Beach skies this New Year’s Eve for a free firework display along the Pensacola Beach Boardwalk. • Polar Bear Plunge – Jan. 1, at 2 p.m.: Need an exhilarating rush to help kick off your new year? Head to Pensacola Beach and plunge headfirst into the Santa Rosa Sound at the annual Polar Bear Plunge. Registration begins at noon and the fee is $15 per person. Cub Club participants – those in fifthgrade or younger – can register for $5. Participants will receive a Polar Bear Plunge T-shirt. All proceeds go to the Pensacola Beach Chamber of Commerce. Be aware that all event times are subject to change based on weather conditions. For weather updates, check the Pensacola Beach Chamber of Commerce Facebook page for the latest news. For more information, visit www.pensacolabeachchamber. com. “The Nutcracker and the Four Realms” (PG) 2D: 5 p.m.
“Bohemian Rhapsody” (PG13) 7:10 p.m.
“Nobody’s Fool” (R) 7:30 p.m.
WEDNESDAY “Goosebumps 2” (PG) 5 p.m. “First Man” (PG13) 7 p.m.
“Hunter Killer” (R) 5 p.m.
“Nobody’s Fool” (R) 8 p.m.
“First Man” (PG13) 1 p.m.
“Bohemian Rhapsody” (PG13) 4:30 p.m. and 7:30 p.m.
“Bohemian Rhapsody” (PG13) 4 p.m. and 7 p.m.
“The Nutcracker and the Four Realms” (PG) Regular shows: $4 adults, $2 children ages 6 2D: 5:10 p.m. through 11, free for 5 and younger “Nobody’s Fool” (R) 7:30 p.m.
3D shows: $5 adults, $3 children ages 6 through 11, free for 5 and younger NASP Portside Cinema is closed on Monday. “Halloween” (R) 5:10 p.m. “Hunter Killer” (R) 7:30 p.m.
THURSDAY “The Nutcracker and the Four Realms” (PG) 2D: 5 p.m. “Bohemian Rhapsody” (PG13) 7:10 p.m. “Hunter Killer” (R) 5:10 p.m. “Halloween” (R) 7:30 p.m.
• History Walk Through: NASP Corry Station will host a History Walk Through today, Nov. 30 at 8:30 a.m. Dress according to temperature and bring a water bottle. For more information, call 452-6802. • Paintball Tournament: MWR Sports Try this will be hosting a paintball tournament as part • Christmas Golf of the NAS Pensacola Classic: The A.C. Captain’s Cup Dec. 8, Read Golf Course oncheck in at 8 a.m. This board NAS Pensacola is a five-player teams will host the Great tournament. MWR will Christmas Golf Classic provide equipment, tomorrow, Dec. 1, tee no outside equipment times 7 a.m. through allowed. Deadline to 9 a.m. The classic will enter is today, Nov. include a nine-hole 30. Eligible patrons in- scramble, a nine-hole clude active-duty, their best ball and ninespouses, reservists, hole modified alterDoD employees and nate shot. Cost is $170 permanent contracted per person for a two personnel. For more person team. For more inforamtion, call 452- information or to register, call 452-2454. 4391 or 452-4392. • Bushido Sports Judo Club: Tuesday and Thursday, 6 p.m. to 7 p.m. and Saturday 9 a.m. to 10 a.m. at NASP Youth Center, Bldg. 3690 (452-2417). For children ages 5 to 17. For more information, call Sensei Gerome Baldwin at 324-3146, 457-1421 or 457-1421 or e-mail baldg6@att.net. • Karate class: MWR offers Karate with Sensei John Wynne at the Portside Fitness Center. Cost is $20 per month for military ($22 for DoD). Beginners class takes place Tuesday at 5:30 p.m. and Thursday at 5 p.m. Advanced class is Monday at 5:30 p.m. and Thursday at 6:15 p.m. For more information, call 452-7810. • Good reading: The NASP Library, 250 Chambers Ave., Bldg. 634, has an extensive selection of books, periodicals and newspapers. Computers with Internet access are available for use in the library. Wireless access and quiet study areas are also available. Hours are 11 a.m. to 7 p.m. Monday through Friday and noon to 5 p.m. Saturday and Sunday. Closed on federal holidays. For more information, call 452-4362. • Discount tickets: Stop by the Information, Tickets and Travel (ITT) office at the NEX Mall on Highway 98 to check out the discounts available on vacations and attractions. For more information, call 452-6354. Hey Naval Academy Grads! Pat McClellan, LTJG USN (71’-76’) and Owner/Partner of the Flora-Bama invites you to join us On the Line to watch the Navy vs Army Football Game and to get a FREE DRINK on him! SATURDAY, DEC. 8TH, 2 PM FLORA-BAMA MAIN ROOM Bring a friend and this ad to get a Free 2019 Membership Card to the World-Famous Flora-Bama. Articles for Sale Free Antique Piano - Kirkman, London, Sold by Woodward & Co, Edinburgh. Upright with bench. Piano has all original material. You pick up. Patio with Hot Tub, above ground Pool. Nice gated private backyard with party deck and fire pit. All bedrooms have queen size beds. Move in ready. Located near Saufley Field. $1300 month. Call Sean 850-503-0215. TOO MUCH STUFF? HERE’S THE BEST AND CHEAPEST WAY TO CLEAR OUT THE GARAGE. LIST YOUR STUFF IN A GOSPORT CLASSIFIED.